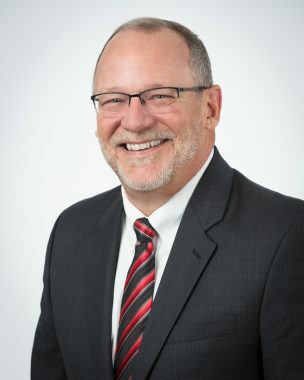 Mr. Klutho has more than 30 years of experience defending clients and helping them prevent consumer law, professional liability, and products liability disputes. Mr. Klutho represents creditors, financial institutions, collection agencies, attorneys, hospitals, and other businesses facing state and federal consumer-protection statutory lawsuits, defending thousands of consumer related lawsuits during the course of his career. He also defends clients against claims brought by governmental regulators overseeing entities involved in the credit and collection industry. With extensive experience in the professional defense arena, Mr. Klutho represents lawyers and other professionals in alleged malpractice litigation. He has defended clients in a range of board proceedings, investigations, and related lawsuits for decades. Mr. Klutho also handles products liability and construction law disputes. Mr. Klutho is chair of Bassford Remele’s Consumer Law Defense Practice Group and is co-chair of the firm’s Professional Liability/Claim Prevention–Legal Malpractice Group. Represented a collection agency in district court, ultimately obtaining an affirmance of the district court’s order dismissing the plaintiff’s FDCPA claims; the Eighth Circuit Court of Appeals held in a matter of first impression that a materiality standard applies to claims of deception under the FDCPA; Hill v. Accounts Receivable Servs., LLC, 888 F.3d 343 (8th Cir. 2018). Represented a law firm and one of its attorneys in district court and on appeal and obtained a decision affirming summary judgment in a legal malpractice case involving but-for causation claims; Zimmer v. Larson, 2018 WL 256742 (Minn. Ct. App. Jan. 2, 2018). Represented a collection agency on appeal, obtaining a decision reversing a federal district court order granting class certification on claims involving the Fair Debt Collection Practices Act; Powers v. Credit Mgmt. Servs., 776 F.3d 567 (8th Cir. 2015). Represented a collection agency in district court and on appeal, obtaining a motion to dismiss in a case involving the alleged failure to advise of the possible tax consequences of accepting a reduced offer of a delinquent account; Altman v. J.C. Christensen & Assocs., 786 F.3d 191 (2d Cir. 2015). Represented a collection agency, obtaining summary judgment in a case alleging the agency’s voicemail was a third-party communication in violation of the Fair Debt Collection Practices Act; Zortman v. J.C. Christensen & Assocs., 870 F. Supp. 2d 694 (D. Minn. 2012). Represented a collection agency in district court and on appeal, winning summary judgment when the creditor did not relay that the debtor was represented by a lawyer, establishing a creditor’s knowledge is not imputed to a collection agency. This was the first case to address this issue in the Eighth Circuit; Schmitt v. FMA All., 398 F.3d 995 (8th Cir. 2005). Represented a collection agency in district court and on appeal, obtaining dismissal of claims alleging the language and/or symbols on transmitting collection notices violated the Fair Debt Collection Practices Act; Strand v. Diversified Collection Serv., Inc., 380 F.3d 316 (8th Cir. 2004). Hudson v. Wilford, Geske & Cook, P.A., 2016 WL 3383268 (D. Minn. June 17, 2016). Adams v. J.C. Christensen & Assocs., Inc., 777 F. Supp. 2d 1193 (D. Minn. 2011). Lynch v. Nelson Watson & Assocs., LLC, 2011 WL 2472588 (D. Kan. June 21, 2011). Represented a law firm in district court and on appeal, winning summary judgment and judgment on the pleadings in an alleged unlawful attorney-fee collection and unlawful levy/garnishment practices claim; State ex rel. Swanson v. Messerli and Kramer, P.A., 2009 WL 1046869 (Minn. App. Apr. 21, 2009). Rahr Malting Co. v. Climatic Control Co., Inc., 150 F.3d 835 (8th Cir. 1998). Fletcher v. Zellmer, 105 F.3d 662 (8th Cir. 1997). Mr. Klutho has published many scholarly articles, columns, and other materials on topics relating to the areas of consumer law defense, legal ethics, trial and litigation strategies, and more throughout his career. During the course of his career, Mr. Klutho has given hundreds of presentations nationally on topics relating to the areas of consumer law defense, legal ethics, trial and litigation strategies, and more.